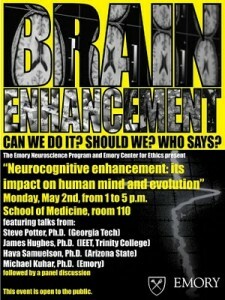 Brain enhancement: can and should we do it? The Emory Center for Ethics and Emory’s Neuroscience Graduate Program recently co-hosted a symposium discussing the ethics of brain-enhancing technologies, both electronic and pharmacological. Georgia Tech biomedical engineer Steve Potter explained his work harnessing the behavior of neurons grown on a grid of electrodes. The neurons, isolated from rats, produce bursts of electrical signals in various patterns, which can be â€œtunedâ€ by the inputs they receive. â€œThe cells want to form circuits and wire themselves up,â€ he said. 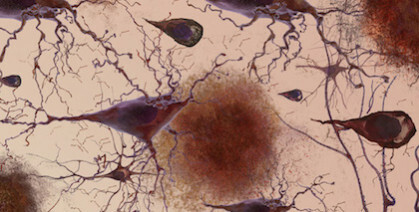 As for future opportunities, he cited the technique of deep brain stimulation as well as clinical trials in progress, including one testing technology developed by the company Neuropace that monitors the brainâ€™s electrical activity for the purpose of suppressing epileptic seizures. Similar technology is being developed to help control prosthetic limbs and could also promote recovery from brain injury or stroke, he said. Eventually, electrical stimulation that is not modulated according to feedback from the brain will be seen as an overly blunt instrument, even â€œbarbaric,â€ he said. 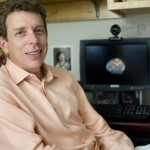 Mike Kuhar, a neuroscientist at Yerkes National Primate Research Center, introduced the topic of cognitive enhancers or â€œsmart drugs.â€ He described one particular class of proposed cognitive enhancers, called ampakines, which appear to improve functioning on certain tasks without stimulating signals throughout the brain.Â Kuhar questioned whether â€œsmart drugsâ€ pose unique challenges, compared to other types of drugs. From a pharmacology perspective, he said there is less distinction between therapy and enhancement, compared to a perspective imposed by regulators or insurance companies. He described three basic concerns: safety (avoiding toxicity or unacceptable side effects), freedom (lack of coercion from governments or employers) and fairness. He identified antidepressants and treatments for attention deficit-hyperactivity disorder or the symptoms of Alzheimerâ€™s disease as already raising similar issues. The FDA has designated mild cognitive impairment associated with aging as an open area for pharmaceutical development, he noted. James Hughes, a sociologist from Trinity College and executive director of the Institute for Ethics and Emerging Technologies, welcomed new technologies that he said could not only treat disease, but also enhance human capabilities and address social challenges such as criminal rehabilitation. However, he did identify potential â€œUlysses problemsâ€, where users of new technologies would need to exercise control and judgment. In contrast, historian and Judaic scholar Hava Tirosh-Samuelson, from Arizona State University, decried an â€œoverly mechanistic and not culturally-based understanding of what it means to be human.â€ She described transhumanism as a utopian extension of 19th century utilitarianism as expounded by thinkers such as Jeremy Bentham. 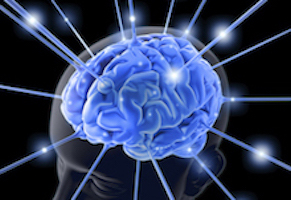 â€œIs the brain simply a computational machine?â€ she asked. The use of military metaphors â€“ such as â€œthe war on cancerâ€ â€“ in the context of mental illness creates the false impression that everything is correctable or even perfectable, she said. Emory neuroscience program director Yoland Smith said he wants ethics to become a strong component of Emory’s neuroscience program, with similar discussions and debates to come in future years. Emory President James Wagner was keynote speaker last week at the 2011 Academic & Industry Intersection Conference sponsored by Georgia Bio and the Atlanta Clinical & Translational Science Institute (ACTSI). The conference focused on ethical issues in translating academic research into commercial drugs and medical devices. Wagner pointed out the great power these relationships hold for the service of humanity, provided they are properly structured and managed. He recommended â€œcautious aggressivenessâ€ by both universities and industry. We should incorporate ethical considerations into our partnerships so that the practice of ethics is not â€œrestrictive and paralyzing, but instead becomes part of the design criteria motivating our success, not restricting it. Wagner is co-chair of President Obamaâ€™s Commission for the Study of Bioethical Issues. The commission lists five principles with broad application for biomedical translational research: public beneficence; responsible stewardship; intellectual freedom and responsibility; democratic deliberation; and justice and fairness. He emphasized that researchers should guard against personal conflicts of interest and ensure against any compromise of research objectivity. But he cautioned against the temptation to value the process of ethics more highly than the ethical principles themselves, and the temptation to substitute compliance for true ethical practice. Is it possible that we and our partners have come to place too much faith in documented protocols, and that excessive regulatory burden may give investigators a false sense of absolution of their own responsibility to exercise judgment and ethical practice? he asks. Ethical practice should not be an afterthought, Wagner emphasized, but instead a deeply understood and critical part of design and protocol and procedure — where the exercise of expert judgment goes beyond regulatory compliance. You may have already heard that last month Emory held its fifth annual predictive health symposium â€œHuman Health: Molecules to Mankind.â€ Researchers, physicians, health care workers and members of the community from throughout the country met to learn about intriguing research and provocative commentary by health care experts. Emory and Georgia Tech kicked off their fifth annual predictive health symposium, “Human Health: Molecules to Mankind,”Â Dec. 14-15. Researchers, physicians, health care workers, and interested community members were treated to some intriguing and provocative findings and commentary. Emory President James Wagner and Georgia Tech President Bud Peterson introduced the symposium, along with Fred Sanfilippo, MD, PhD, CEO of Emoryâ€™s Woodruff Health Sciences Center. Sanfilippo emphasized that predictive-personalized health is one of the most innovative and promising solutions to our current health care crisis. Medicine today stands at the brink of an achievable goal to tackle the most serious issues facing the health of humans â€“ the ability to predict, reduce, and in many cases eliminate the specific illnesses we each face. To achieve this goal, he said, we must understand why each of us has a different risk and response to diseases and their treatment, based on our unique differences in biology, behavior and environment. And then we have to use that knowledge to determine the right treatment at the right time for each individual. We know we could prevent half of chronic illness, said George by simply teaching people to eat nutritionally, adopt health habits such as nonsmoking, build positive relationships, live and work in nontoxic environments, practice stress reduction, stay fit through some form of exercise, and be purposely engaged in life. If we only treat disease after it occurs and do not promote health, we will have missed the whole point. We need to create a culture of health and well being. And this from W. Andrew Faucett,Â director of the genomics and public health program at Emory, who cautioned that although many personalized genetic tests are now available through numerous sources, individuals and clinicians have to weigh the benefits, risks, and usefulness of this evolving technology. People may not even want to know some things revealed by genetic testing, and not everything revealed may be clinically useful or related to disease risk. For example, matters such as oneâ€™s true ancestry or revelations concerning oneâ€™s paternity may unexpectedly come to light. Furthermore, the accuracy of personalized genetic testing should be carefully considered. Also, a negative result is never truly negative, because there are so many factors involved and some of them can change. Faucett also spoke about the differences between relative risk and absolute risk. “Anytime you’re talking about genetic risk for disease, you have to present risk in multiple ways,” Faucett said. Kenneth Thorpe,Â chair of health policy and management at Emory, talked about the elements of health reform that may be getting lost in the reform process– redesigning the delivery system to prevent and avert the development of disease. Thorpe focused on Medicare because he says, itâ€™s â€œthe most acute offender of the system.â€ That is, it encompasses some of the most difficult problems that health care reform faces. The typical Medicare patient, he said, is an overweight hypertensive diabetic with back problems, high cholesterol, asthma, arthritis, and pulmonary disease. And that typical patient sees two different primary physicians, a multitude of specialists, and fills 30 different medications. Yet, Medicare does nothing to coordinate the patientâ€™s care. As a result, preventable admissions and readmissions rates are â€œoff the charts,â€ he says. But, data show that coordination could cut those rates in half. Because todayâ€™s patients have chronic health care conditions that require medical management, said Thorpe, the hope is to develop a preventive and personalized health plan that identifies problems before they manifest and employs care coordinators to guide patients while theyâ€™re at home. 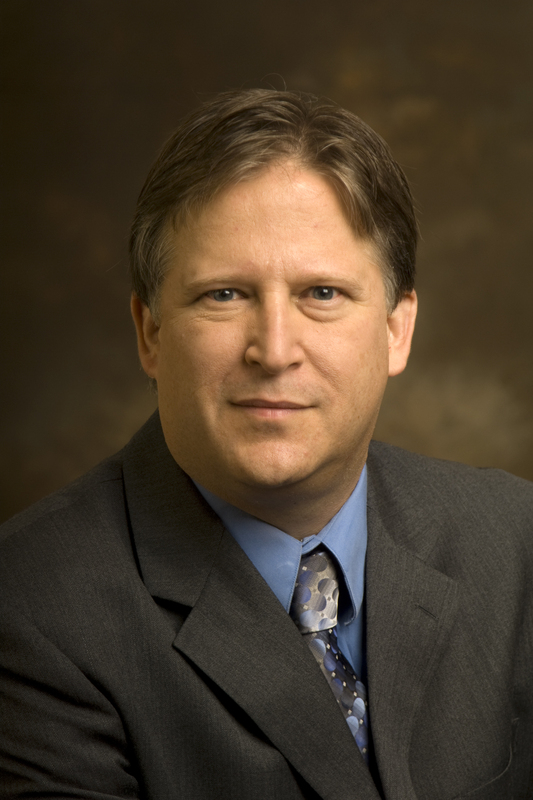 Emoryâ€™s Gregory Berns, MD, PhD, occasionally blogs for Psychology Today in a blog titled plus2sd. Bernsâ€™ most recent blog taps his expertise on the use of brain-imaging technologies to understand human motivation and decision-making, as well as the biology of adolescent decision-making and the effects of peer pressure on risk attitudes. In a blog called â€œMy Immature Brain Made Me Do It?â€ he covers an upcoming case before the U.S. Supreme Court on life sentences for adolescents. 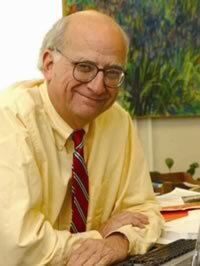 Berns is Emory Distinguished Chair of Neuroeconomics and director of the Center for Neuropolicy, and a professor of Psychiatry and Behavioral Sciences, Emory University School of Medicine. He writes: â€œOn November 9th, 2009 the Supreme Court will hear arguments on whether the 8th amendment’s ban on cruel and unusual punishment prohibits courts from sentencing children to life without the possibility of parole for the commission of a non-homicide. The elephant in the room, and the thing that the Court has taken deliberate steps to leave out of its rulings in the past, is the human brain. Numerous briefs have been submitted by mental health advocacy groups suggesting that the brain is not fully mature until the mid-20’s. But come November, the Court should once again ignore the growing drumbeat to blame the immature brain and leave neuroscience out of its decision. But there are serious flaws with the “immature brain made me do it” argument. In fact, my group recently published a study calling this argument into question (PLoS One, 2009). All of the neuroscience findings cited in the briefs rely on a correlation of brain structure with either age or a measurement of cognitive function. 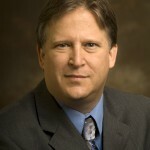 To read more about Bernsâ€™ recent study findings, visit Emoryâ€™s Woodruff Health Sciences Center.